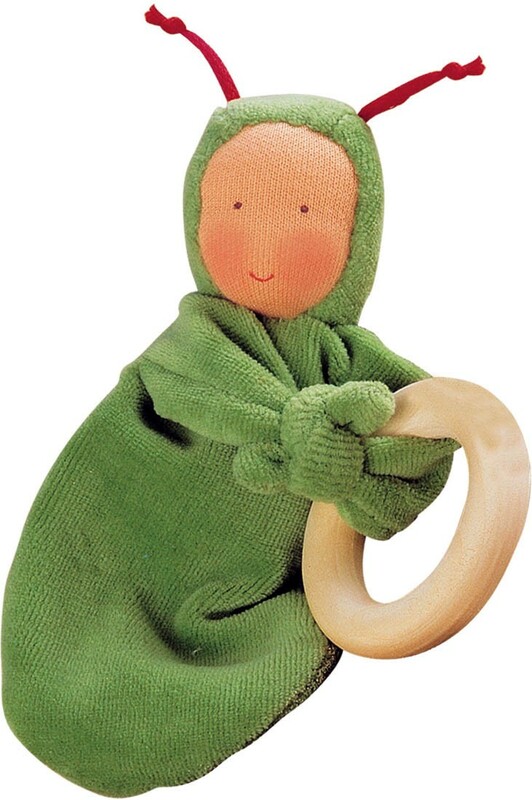 The green Rainbow Baby holds a solid maple wood teething ring in its arms and is ready for finger play or to comfort a teething baby. 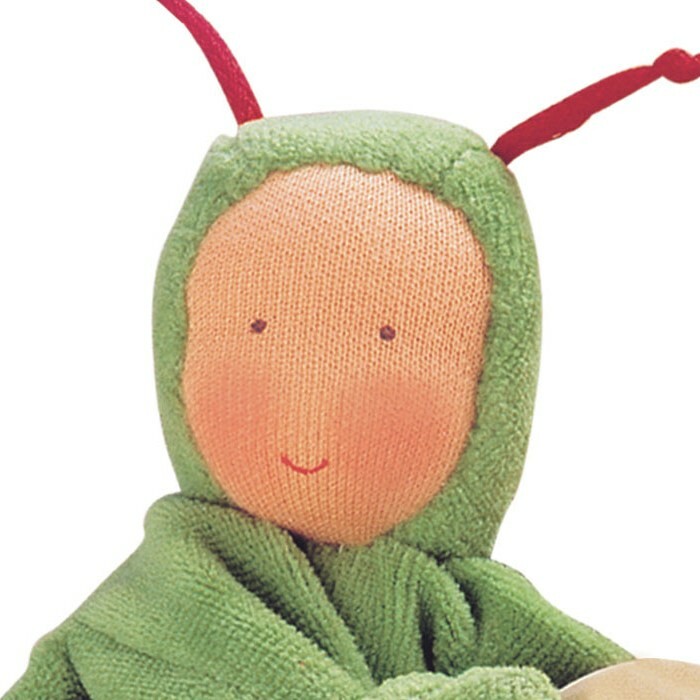 The babies' body is made of soft cotton velour, the face is a cotton knit, and fiberfill gives the head shape. The wooden ring is both safe and durable. 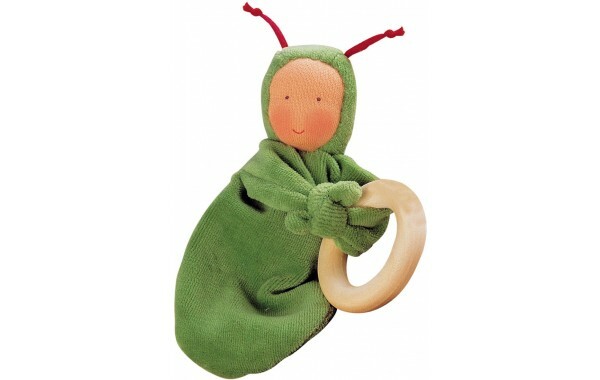 A Rainbow Baby is an ideal first grasping toy and wonderful baby shower gift.